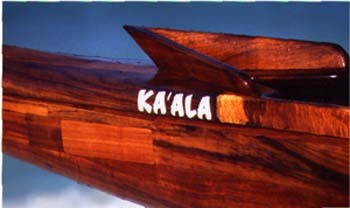 Anuenue Canoe Club was founded in 1983 in the shadow of the Hilton Hawaiian Village Rainbow Tower next to the old Heliport. It is a low profile s mall canoe club which reflects the lifestyle and philosophy of Coach and founder Nappy Napoleon. Becoming an Anuenue Canoe Club member really means becoming part of Nappy’s extended family as he and his wife Anona along with their five sons have been the backbone of the club since its beginnings. Anuenue Canoe Club paddlers have an opportunity to learn from one of the legendary figures in the sport. Nappy balances a strong competitive drive with a laid back, humble and friendly approach. 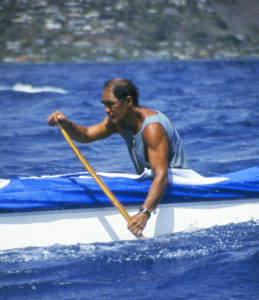 Knowledgeable paddlers rightly look at Nappy with great respect for his many accomplishments as a paddler and especially as a steersman who has no equal in open ocean competition.